A historic number of women were elected to office in Tuesday's midterms elections, but despite the so-called "pink wave" of female candidates shaking up the status quo, the U.S. still has a long way to go before reaching gender parity among elected officials. Whether you were inspired, or maybe even disappointed, by the midterm's results, or if you're simply looking to make a meaningful difference in your community, here are some ways women interested in running for office can get started. Anne Moses, the founder of the nonpartisan organization Ignite, which is dedicated to inspiring and supporting young women who want to become political leaders, said one of the reasons researchers say women don't often run for office was a combination of feeling under-qualified -- regardless of their actual qualifications -- and being asked less frequently. Recently, however, Moses said she's noticed a cultural shift. "I'd say the hugest spike in interest came post-election, around the Women's March," she said. "But it just keeps going up." 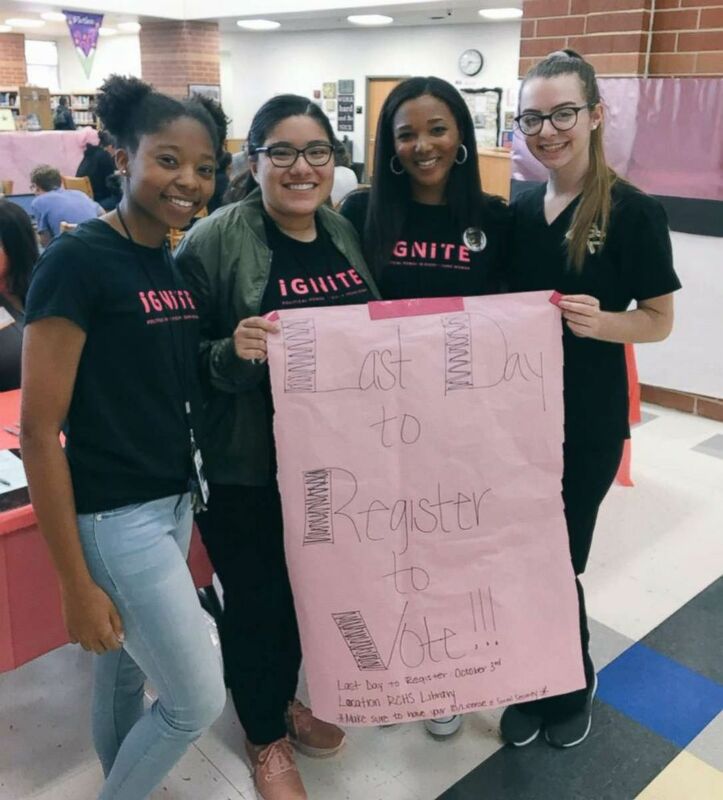 IGNITE International works to empower the next generation of young women to become political leaders. More and more women are starting to feel like: "I have no choice but to get in," she explained. "And the calculus in their head is, 'Do I protest, or do I do something bigger, and run?'" Moses said. "I used to feel like protesting was enough, but now it's like, 'Well, I can yell at the people making the decisions, or I can be the people making the decisions.'" "I'm not saying advocacy is not powerful," Moses said. "But sitting on the other side, where I make the law, is more powerful." Erin Loos Cutraro, the founder and CEO of She Should Run, a non-partisan group also working to increase the number of women running for office, described her organization as "a starting place for women that are very first thinking of running." Cutraro said she was inspired to start the organization "after working for a number of election cycles and seeing that while there were incredible individual stories, the overall percentage of women serving in elected office wasn't changing fast enough, and in fact at our current rate we don't stand to see that gap closed in gender in elected representation in our lifetime." She Should Run's flagship program is their "Incubator," which essentially breaks down how to get started and if you're thinking about running for office. "With the passing of the 2016 Election, we saw a lot of women stepping up and saying no more of the status quo," Cutraro said. "Fast-forwarding to where we are today, just since the Fall of 2016, we have over 14,000, active members." "Every time there is a conversation around #MeToo, or any national breaking news that relates to women either being excluded, or challenged in the public light, we see an immediate reaction, of women in our community ... who frankly want to be part of a solution," Cutraro said. For women who are feeling inspired or disappointed, what's most important is that they feel the importance of their voice being a part of the solution. 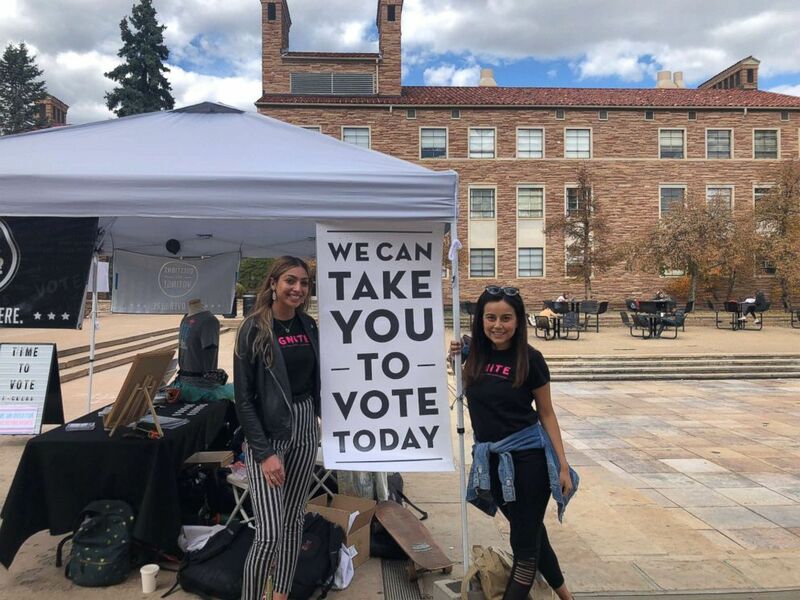 In the wake of yesterday's elections, "for women who are feeling inspired or disappointed, what's most important is that they feel the importance of their voice being a part of the solution," Cutraro said. "That can be through encouraging others or considering a run," she added. While the record-smashing "pink wave" of female candidates was largely tinted blue during the 2018 midterm elections, these groups work to empower women candidates on both sides of the aisle to get involved in public service. If you are interested in getting started, Moses recommends starting local. "If your looking to make that first step, I would also recommend that you apply to a local board or commission -- these are people that actually advise and write policy," she said. "Every community has them. It's a public appointment process, you can find all the information online." Moses described it as a "great way to cut your teeth on writing policy." "The biggest policy decisions are happening at the state and local level," she said, joking that "it's not just 'Parks and Rec.'" "These local offices are really, really, really important," Moses said. "And the people in them move up to the state and federal level." The local level is also a great place to start building out your political network and find a mentor, Cutraro added. 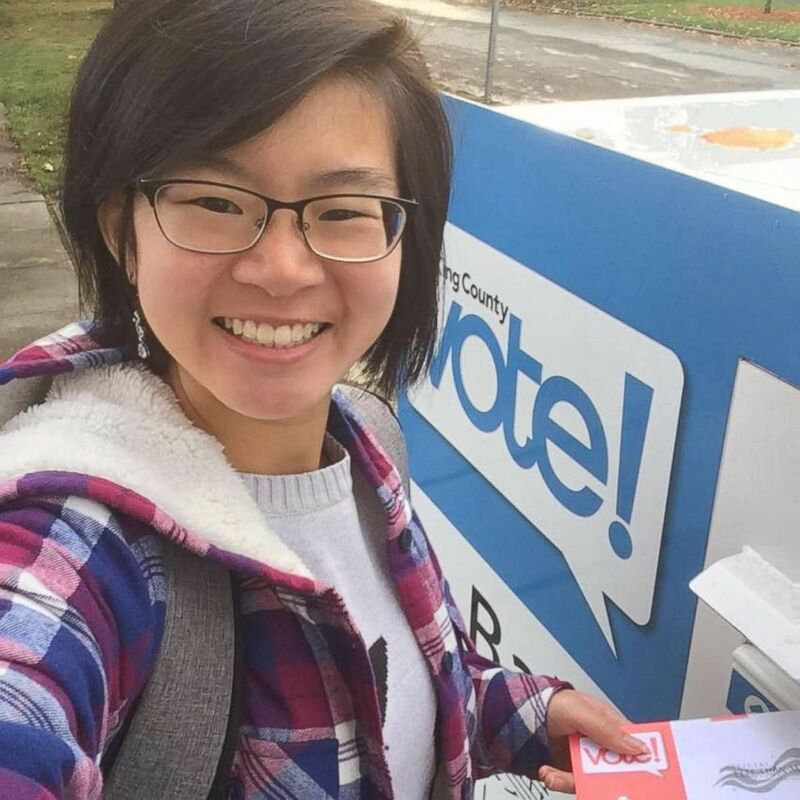 Women should "look at their local elected officials and find somebody who inspires them, and get to know that individual, because it's those relationships that can really accelerate their political network," she said. "Women make great candidates," Moses said. "I think women get tripped up on not feeling qualified enough, not getting enough funding. The reason we don't have as many women in office is become we don't have as many female candidates." There are systemic barriers for sure, but I would say don’t doubt yourself. "There are systemic barriers for sure, but I would say don’t doubt yourself," she added. Cutraro reiterated that, telling "GMA" that it's no secret the "experience of running for office as a woman is unique." "We find that women face unique barriers on the campaign trail," Cutraro said. "Everything from not having the same built-in networks, to being asked different questions by reporters." Cutraro recommends women build their own networks and talk to "other women who are taking that journey at the same time, to learn from one another and to lean on one another." "You want to have that support network in place," she added. "A lot of our work is about building community among women who are running. Build a sisterhood." 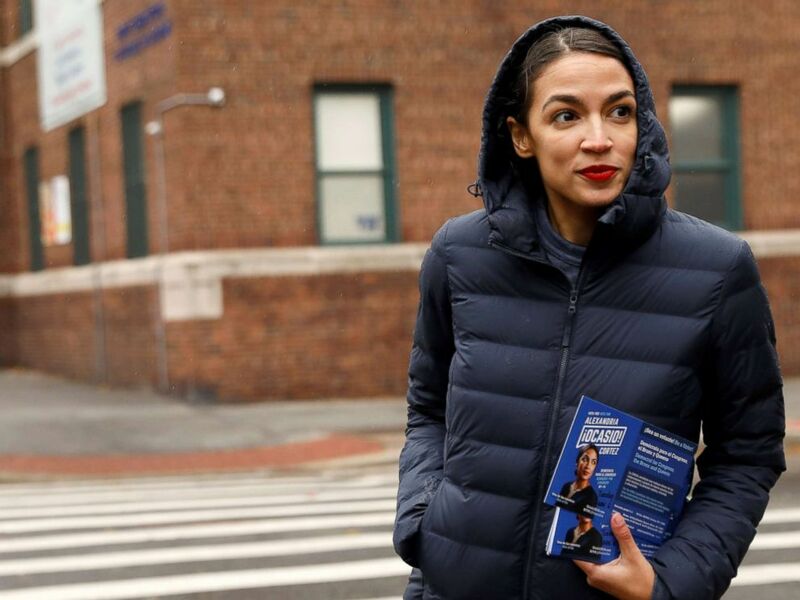 Democratic Congressional candidate Alexandria Ocasio-Cortez campaigns during a whistle stop in New York City, Nov. 5, 2018.